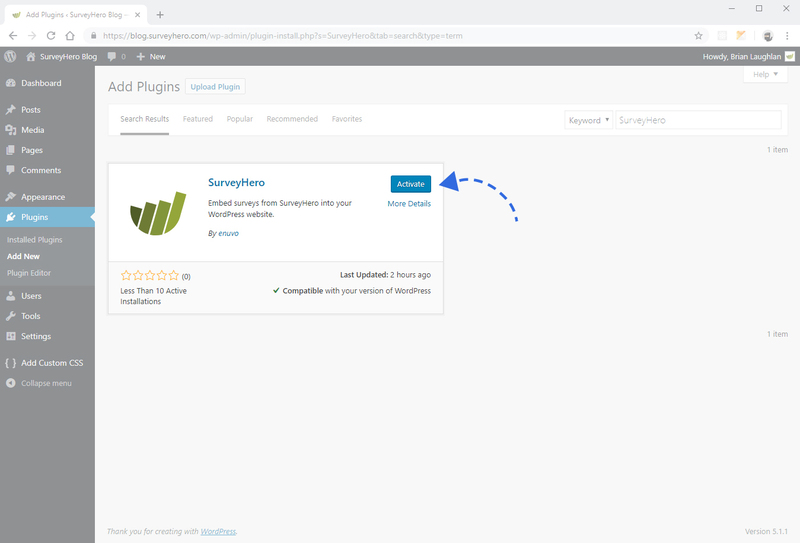 You can embed your survey directly into your WordPress website by using the official SurveyHero WordPress plugin. The plugin makes it as simple as just pasting in your embed code, it will then do the rest and make sure your survey is displayed correctly. WordPress plugins are utilities which provide additional functionality to your WordPress website. You can install them for free on WordPress installations that are on your server or, starting from their Business Plan, on wordpress.com. How do I use it with my survey? To get started, you will first need to install and activate the plugin on your website. You can do this from your WordPress admin area by going to Plugins > Add New. Search the plugin archive for “SurveyHero” and select it. Then click on the Install Now button and the plugin will be installed shortly. If it is not activated automatically click on “activate”. 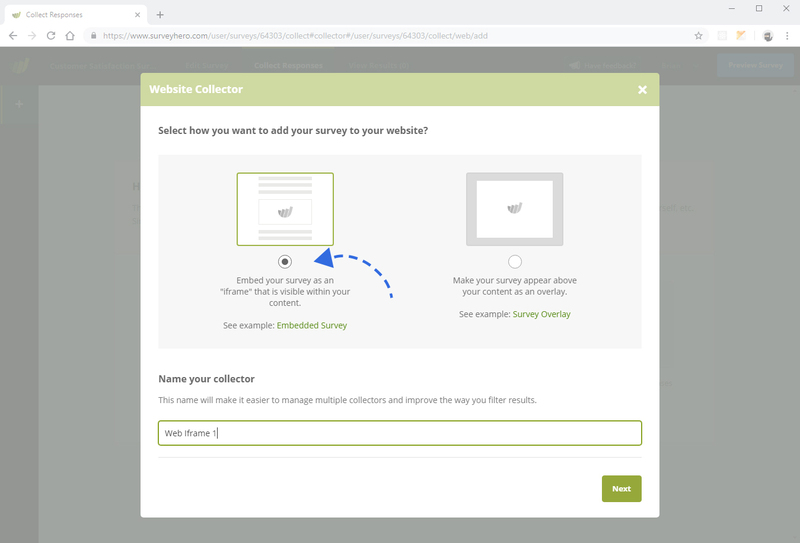 Now that the plugin is installed, you will need to create an “Embed Collector” for your survey. Go back to your SurveyHero account and visit the “Collect Responses” area of your survey. Create a new “Web Embed” collector. This will generate the “Embed Code” that will be used with the WordPress plugin. Now that everything is setup, you can start to write the content of your post in your WordPress admin area. 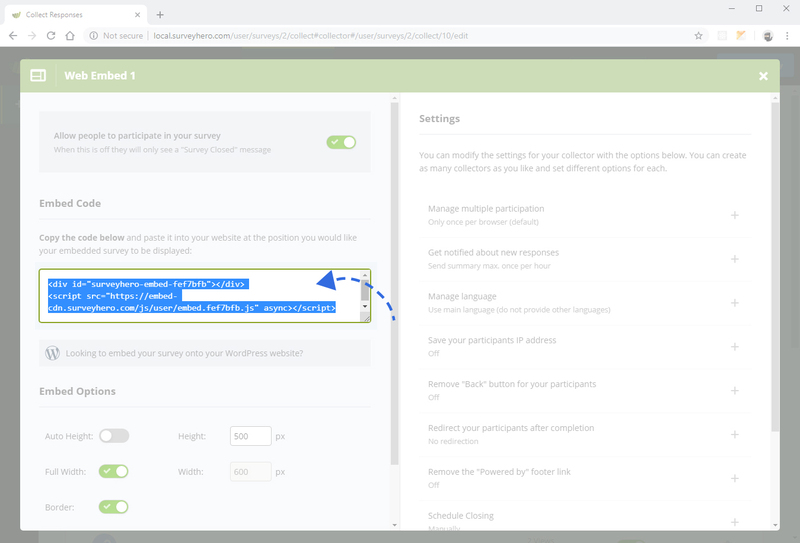 Simply add a new “block” where you would like your survey to appear on the page and select the “SurveyHero” block type, located in the “Embed” category. When you have added your block, paste in the “Embed Code” from the collector you created for your survey and click “Embed”. If the code was copied correctly, your survey should load in automatically. That’s it, you have embedded your survey! Don’t forget to save/publish your changes. The plugin requires WordPress version 5.0 or above with the new Gutenberg editor active.